Download "Cat S O SSM. Services. Understanding Your Results. 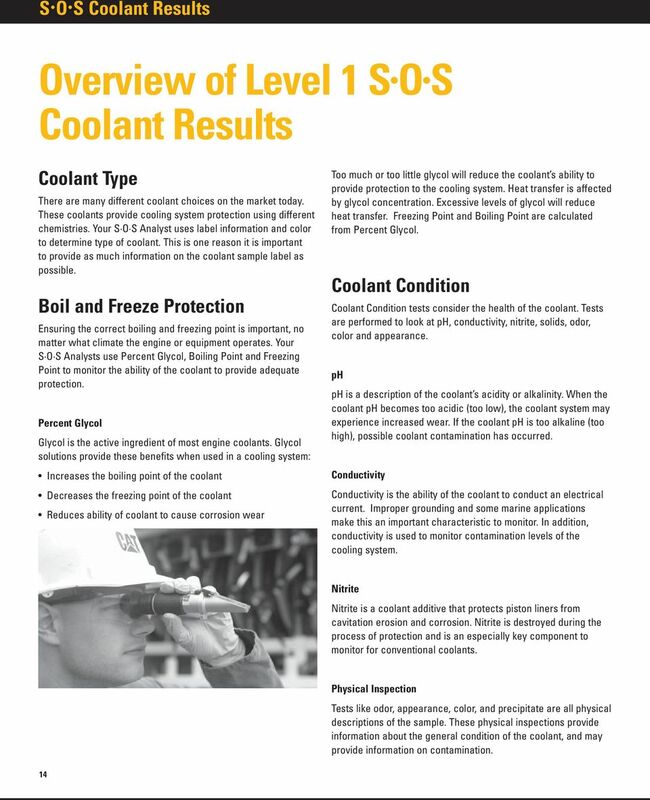 Understanding Your: S O S Oil Reports S O S Oil Results S O S Coolant Reports S O S Coolant Results"
3 Committed to keeping your equipment moving Like all Cat Dealer services, the S O S SM Services program is a mutual commitment to protect the performance and value built into your Cat equipment. 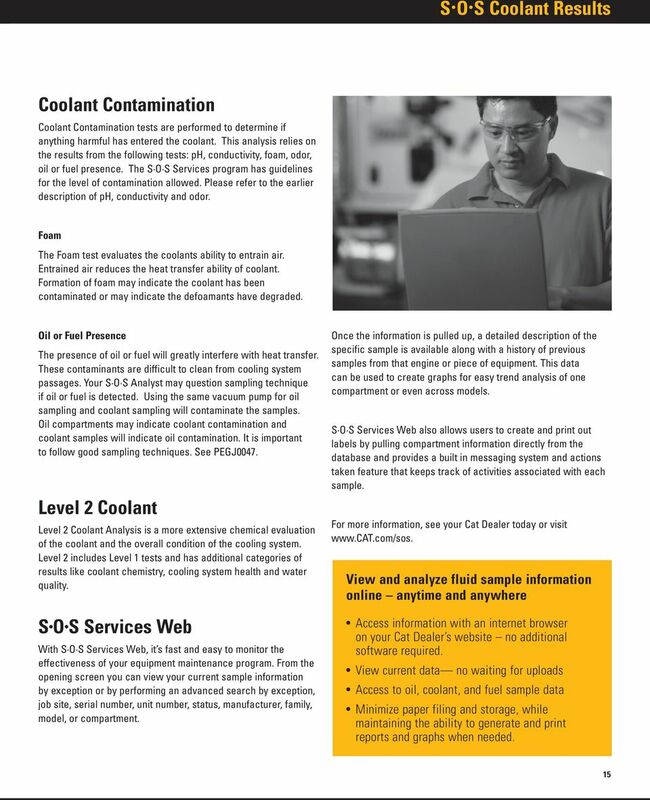 The S O S Services program offers you valuable resources for better equipment management. 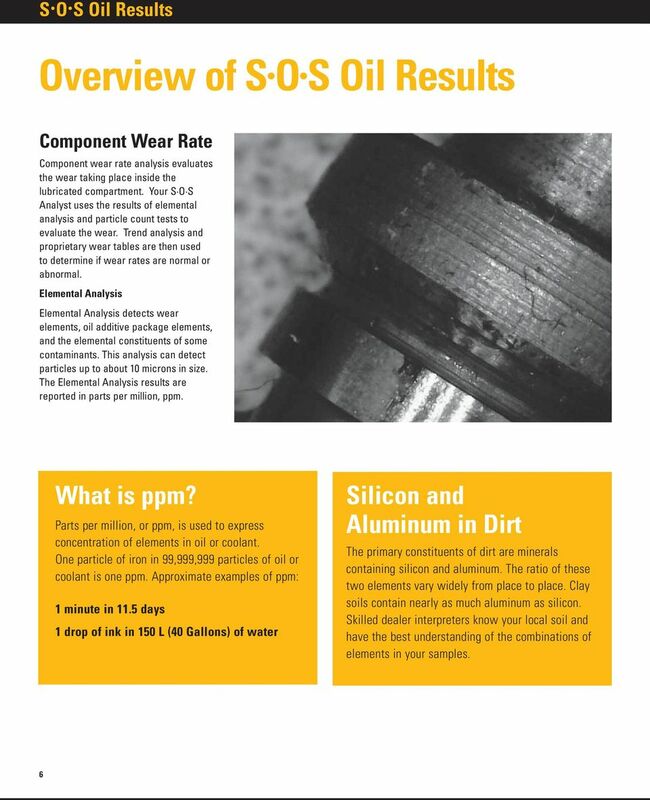 Working together with your Cat Dealer, you can take the simple process of fluid sampling and combine it with state-of-the-art analysis and clear, easy-to-understand reporting to create not only optimized machine performance, but also improved cost control. As your local Cat Dealer, we back up our fluid analysis with our reputation for excellence and the expertise of trained Analysts. Enrolling in the S O S Services program is your assurance that you ll get accurate analysis. 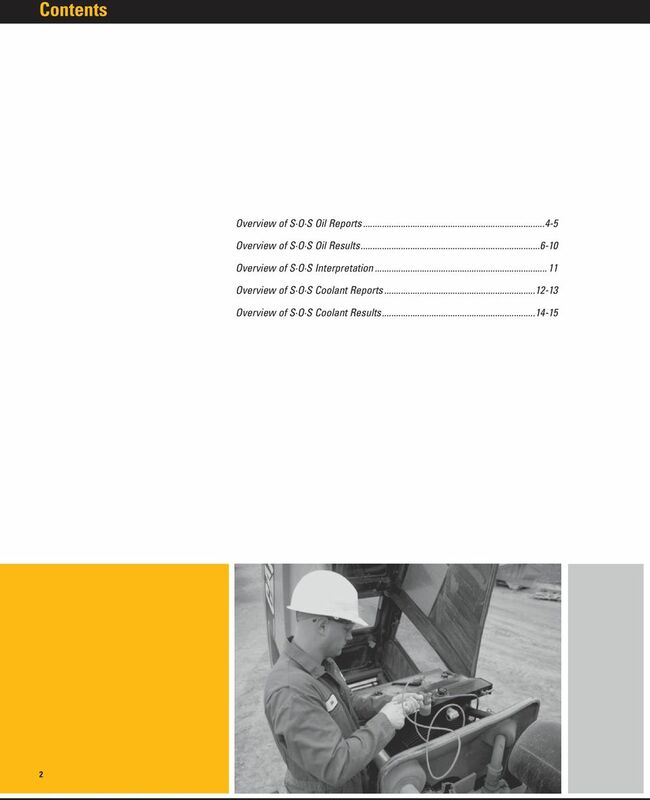 Only your Cat Dealer S O S Analysts have access to the expertise of Caterpillar design specifications and engineers. 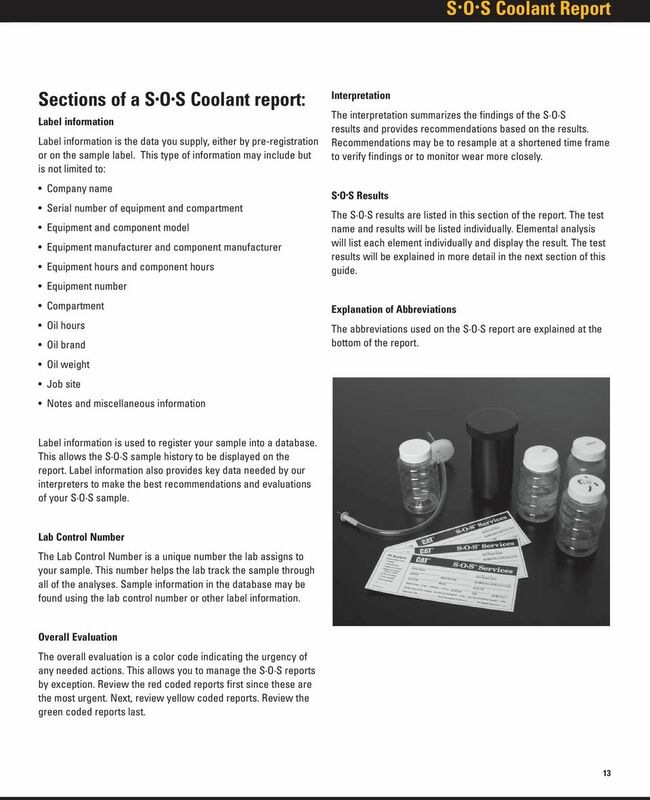 The S O S lab completes testing quickly and provides comprehensive maintenance advice in easy to understand feedback. 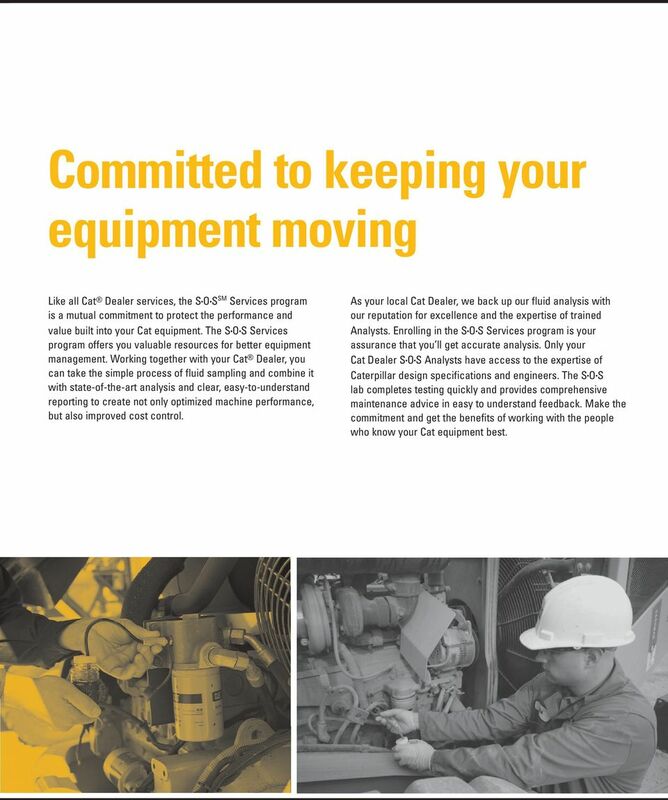 Make the commitment and get the benefits of working with the people who know your Cat equipment best. 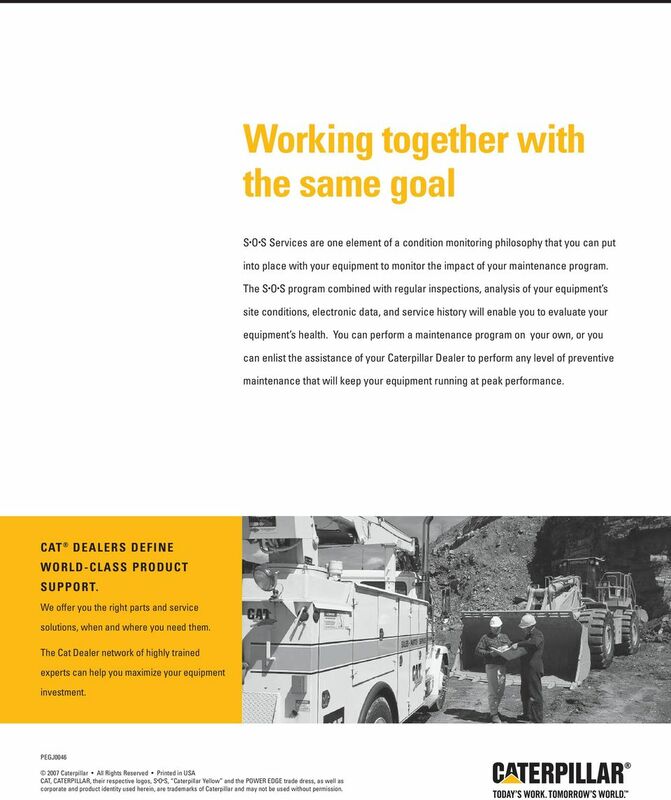 16 Working together with the same goal S O S Services are one element of a condition monitoring philosophy that you can put into place with your equipment to monitor the impact of your maintenance program. 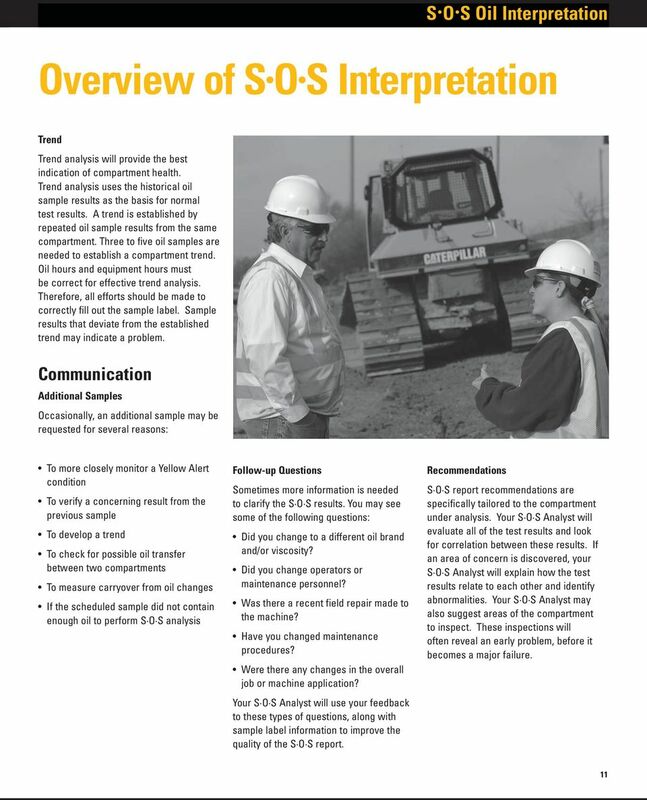 The S O S program combined with regular inspections, analysis of your equipment s site conditions, electronic data, and service history will enable you to evaluate your equipment s health. 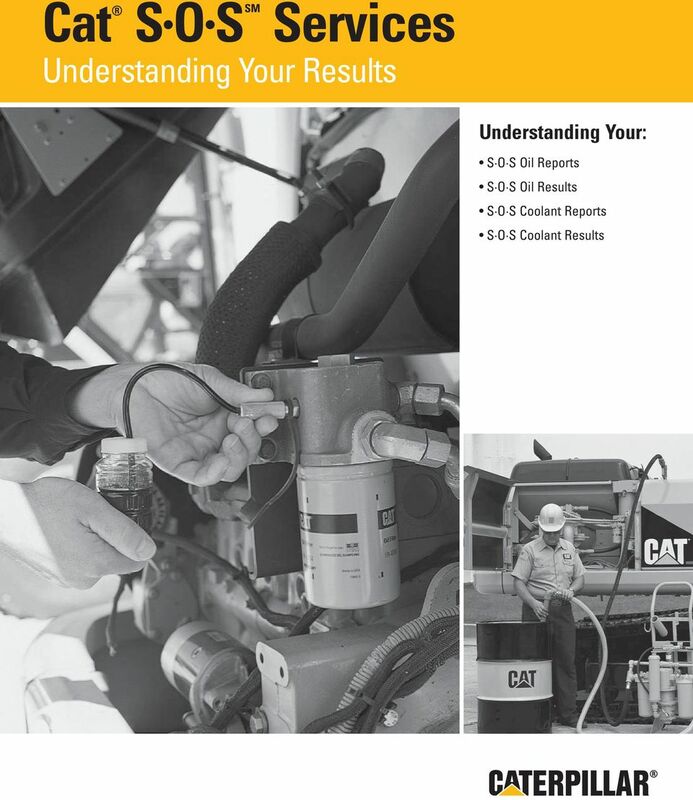 You can perform a maintenance program on your own, or you can enlist the assistance of your Caterpillar Dealer to perform any level of preventive maintenance that will keep your equipment running at peak performance. CAT DEALERS DEFINE WORLD-CLASS PRODUCT SUPPORT. 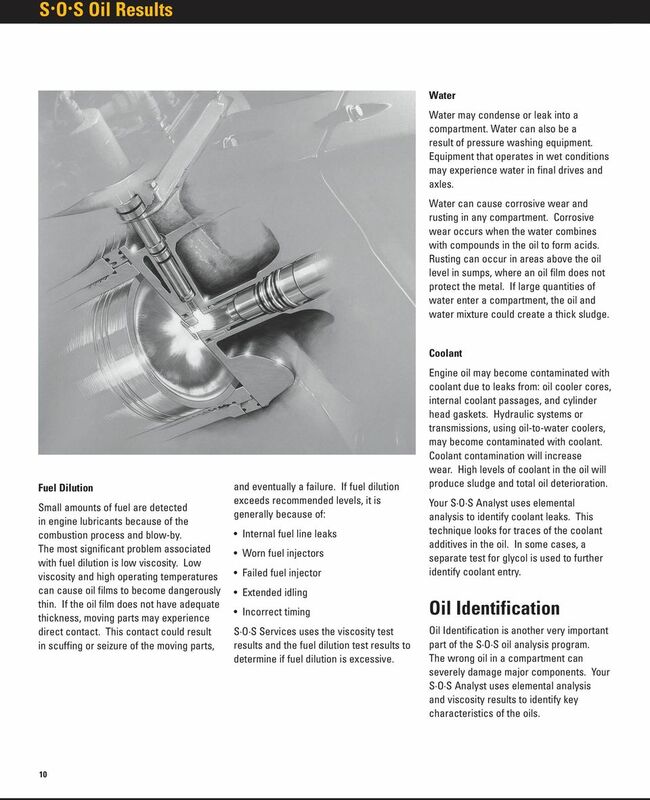 We offer you the right parts and service solutions, when and where you need them. The Cat Dealer network of highly trained experts can help you maximize your equipment investment. PEGJ Caterpillar All Rights Reserved Printed in USA CAT, CATERPILLAR, their respective logos, S O S, Caterpillar Yellow and the POWER EDGE trade dress, as well as corporate and product identity used herein, are trademarks of Caterpillar and may not be used without permission. 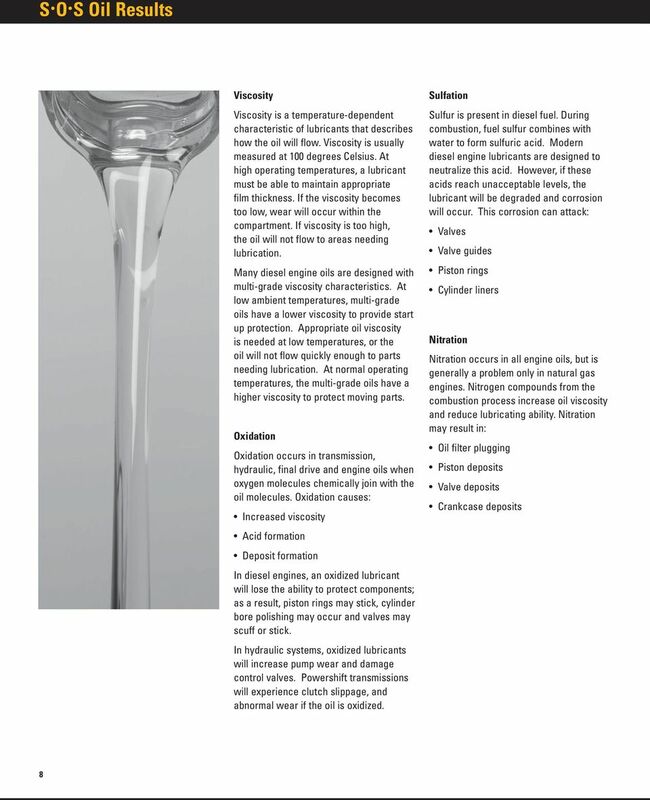 petroleum technologies TABLE OF CONTENTS BASICS OF OIL ANALYSIS p. 4-5 Introduction p. 4 Trend Oil Analysis p. 4 Engine, Transmission & Hydraulic Systems p. 5 Oil Analysis Measure p. 5 Why Oil Analysis? 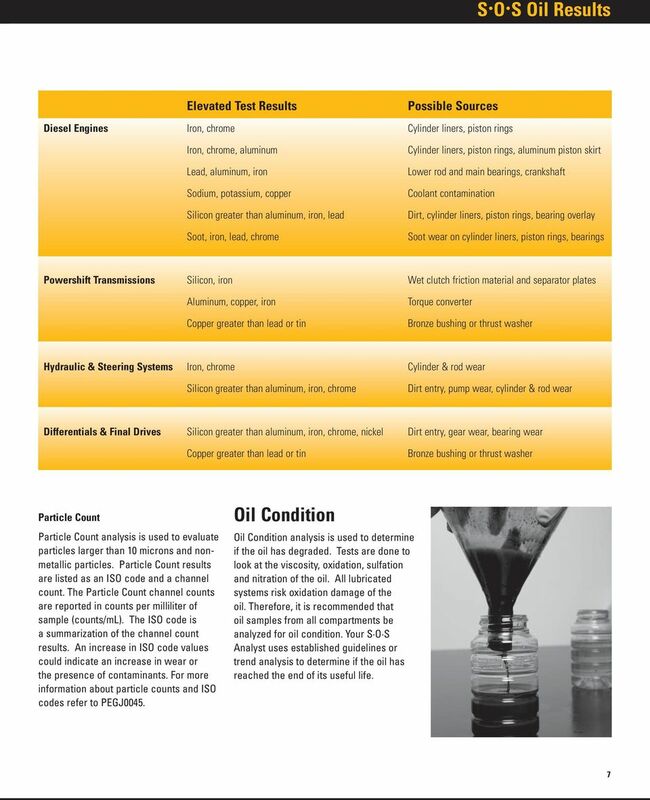 Oil Analysis. It is important that the sampling be done in the following manner: 1. Shell Fleet Management working with you to keep your fleet moving. 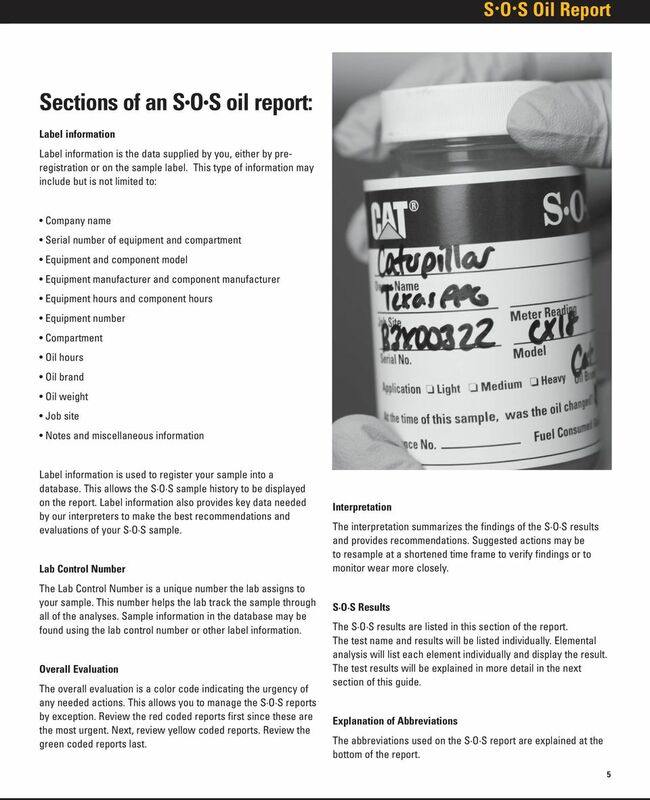 Oil Analysis Program ISO 9001: 2008 Certified. Care and Maintenance of Steam Systems February 2010 Brrr. It's been a cold winter so far. Good thing we've all got heating systems that take care of us and take care of themselves, right? Of course not. 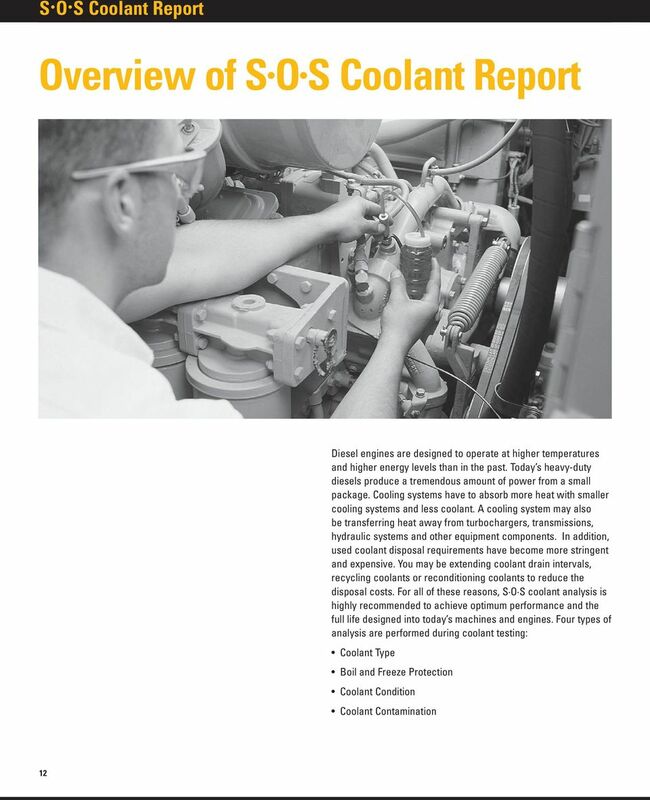 The Inside Story Cat Fuel, Oil, and Transmission Filters Visibly Better C a t F u e l, O i l, a n d T r a n s m i s s i o n F i l t e r s The consistent quality of Cat Filters is your best protection. WHERE DOES ALL THAT METAL COME FROM? by John S. Evans, B.Sc. At Bently Nevada Corporation (BNC) we know one. 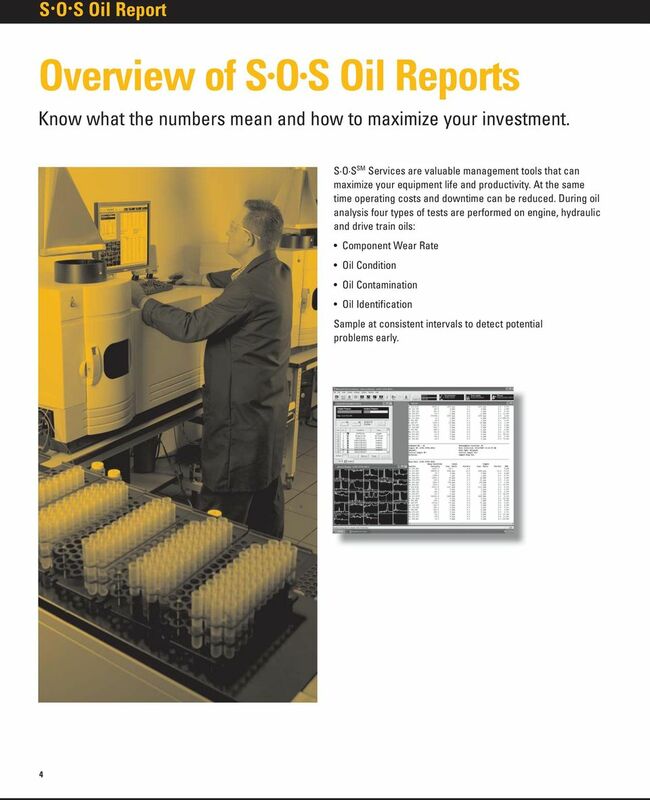 Establishing a Lubricant Analysis Program. Joshua Hutton. John Kitchens.